Welcome to CTM Stoneworks! 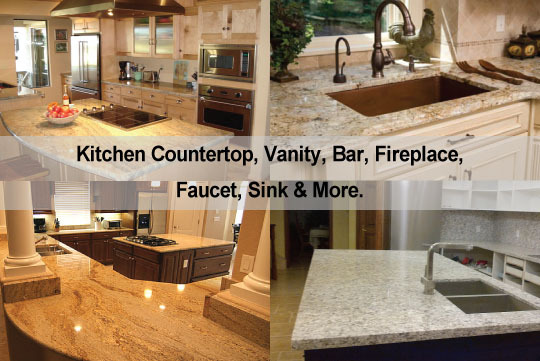 We supply and install all natural stones marble, granite, travertine, and onyx for your kitchen countertop, vanity, bar, fireplace, bathtub, furniture, sinks, faucets, and much more. Also we provide the man-made quartz to satisfy your colors needed. With over ten years of experience in manufacturing and installing marble, granite and quartz. Our company is progressively growing in the stone business with team of friendly and skilled staff. Our mission is to provide our customers with the best quality in craftsmanship and the best price. In our showroom, customers can select the colors what you want or you can take a look at our full slabs to make sure that is the right color before we start to manufacture. CTM Stoneworks guarantees that you will be satisfied with us from start to finish. Fast and very reliable services "The Best Serving Company in the GTA." We invite you to browse through our gallery and direct any inquiries to info@ctmstoneworks.ca or by phone at (905) 451-2887.